DOOR NUMBER TWO: Kenny Swann: you are ENOUGH. January 28 tiny resolution. Kenny Swann: you are ENOUGH. January 28 tiny resolution. A little over a year ago, I made my first trip to Haiti. I was wrecked. I never knew and maybe never even cared that a world like that existed. After my first trip through the city of Jeremie, my initial reaction was that the best thing for Haiti might require a bulldozer and a start over. But then I got out of the bus. I discovered a wonderful and loving people with the same desire for a better life for their children that I had. I also discovered that the greatest commodity of any people is HOPE. Hope is hard to come by in a third world country. 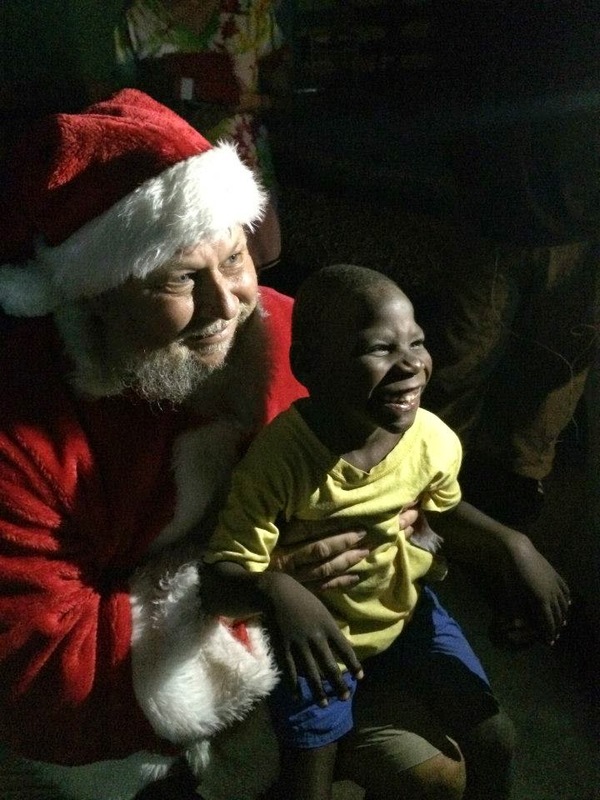 One day when a young girl was looking at our pictures on our cell phone, she saw a picture of Santa Claus (they call him Papa Noel in Haiti). She knew who he was, but told us that Papa Noel did not care about Haiti because he never came there. Out of this an idea was born. I must confess that I am blessed in my old age with a little girth. But I have never grown a beard. So on February 2, 2014 , this Papa started his beard. 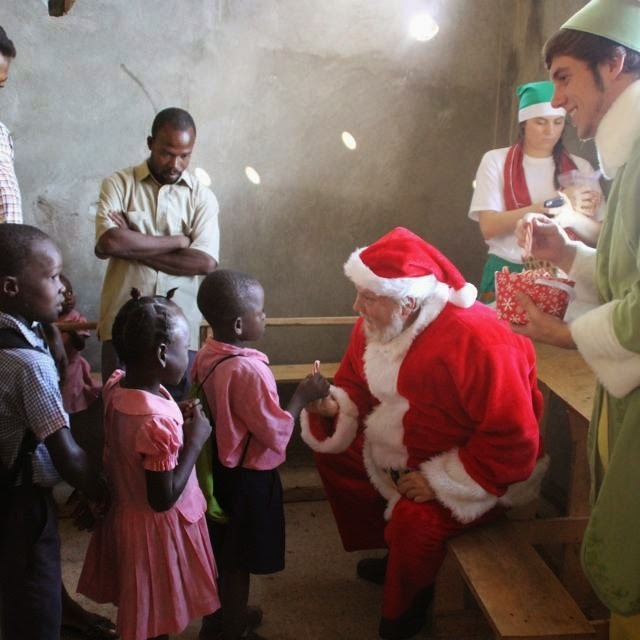 And on December 14, 2014, Papa Noel went to Haiti! THE TRIP WAS AMAZING! And I learned two things that I would like to share. I like to call these things ENOUGH. FIRST: In a land of absolutely NO Santas, ONE Santa is enough. My beard was scraggly, and because I am fat, I had to wear a cooling jacket under a Santa suit in 100 degree weather. Our first visit was in a little place called Bon Bon at an orphanage with 75 kids. After thirty minutes, our number of children swelled to about 300 and they chased our bus for about a mile after we left, shouting and laughing. The length of my beard or the fact that my suit was wet didn't seem to matter. I learned that even you though you might not be the best bringer of joy, hope, love and laughter, you may well be the only one that some will ever see. So you are ENOUGH! Bring it with all your heart. On our last night we had a stopover in a rescue orphanage in Port Au Prince. We were only there to eat, sleep and catch a plane the next day. In the course of our meal, a wonderful lady named Miriam Frederick told us about how this place had come to be. They were a rescue orphanage with regular orphans, abused orphans and handicapped orphans. 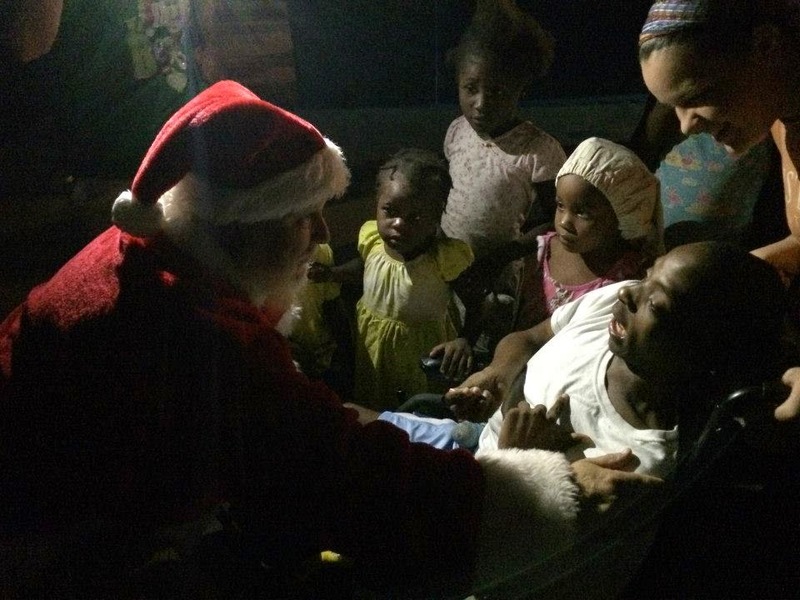 Her heart was heavy because a group had been scheduled to bring Christmas to the children, but had cancelled because of unrest and riots in Haiti. Our group leader told her we had half a Papa Noel (I had left my pants in Jeremie...long story!) and no candy, but we were willing to do our best after evening devotion was over. Another group with us at devotion that night had brought some candy canes. When we took a count, just as in the Bible story of the Loaves and Fishes, we had EXACTLY the right number of candy canes. And so it came to be: a half-suited Papa Noel with just enough candy shared what may well be the best Christmas he and the children ever had. You may not be the best equipped, but never doubt in a world of need the love you bring is enough! I don't know your station in life. I don't know your faith. I don't know your willingness. What I do know is in a world that is short on Joy, Love, Peace and Understanding ....You are ENOUGH to bring these things to others! Kenny - In a world that always seems to be telling me that I need more, should be more, this is an important message. Thank you for sharing it. Having just emailed my poor offering to Jana, I read your offering. You made me cry - thank you what what you have done.